A sophisticated and world-class integrated wharf, estimated to cost about PHP100-million, is expected to rise middle of 2018 in this city at Sitio Sabang, Barangay Cabayugan, home of the world-famous Puerto Princesa Underground River (PPUR). 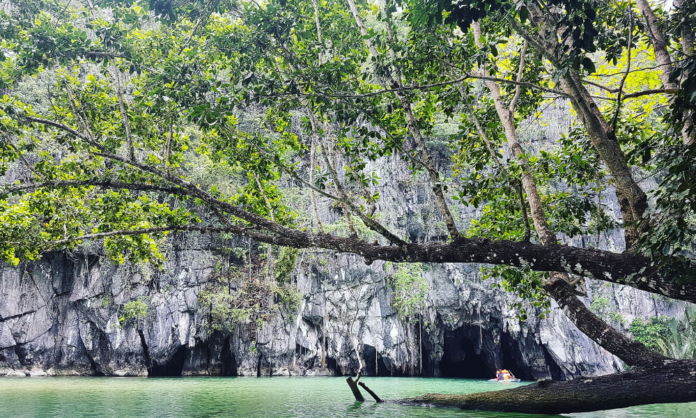 Elizabeth Maclang, protected area superintendent of the Puerto Princesa Subterranean River National Park (PPSRNP), said Thursday the project would be called Sabang Integrated Wharf Development and construction can be completed in one to two years. It is going to be a partnership project among the park management, the city government under Mayor Lucilo Bayron, and the Tourism Infrastructure and Enterprise Zone Authority (TIEZA), Maclang said in a press conference. “This year, we concentrated on the conduct of environmental studies to determine what kinds of impact the wharf project would entail. UNESCO (United Nations Educational, Scientific and Cultural Organization) will not allow us to just construct a world-class boat terminal without the environmental impact assessment (EIA) to evaluate likely effects on marine resources, inter-related socio-economic, cultural, and human-health,” Maclang said. Designed by AC Ong Consulting Inc., (ACOCI), the project would require the creation of around two hectares of new land from the sea for a wharf that would have terminal building, parking area that is 200 meters away from the beach, breakwater, drop off area, community plaza, service and utilities area, seaside boardwalk, and three boat docking areas. “The design was worth PHP15-million and it was from TIEZA. The amount needed to implement the construction is PHP100-million as it would have too, a wastewater treatment facility,” she said, adding they needed to ensure that the design plan would include a treatment feature for runoffs. Aside from TIEZA’s PHP50 million fund which they needed to apply for, Maclang said the city government also allocated PHP10 million to see the realization of the boat terminal project. The remaining amount, which is estimated to be PHP40 million, will come from the income of the PPUR generated from entrance fees. “The park’s income can provide the remaining amount that would needed. If in the past we can earn around PHP5 million during the peak season, now the park is already producing an income of PHP7 million to PHP10 million. It was very fortunate that we already raised the cost of our entrance fee,” she stated.